Like other air compressed-driven devices, no electric power and lubrication are required for the 160kg-180? Rotation- Vacuum lifter. 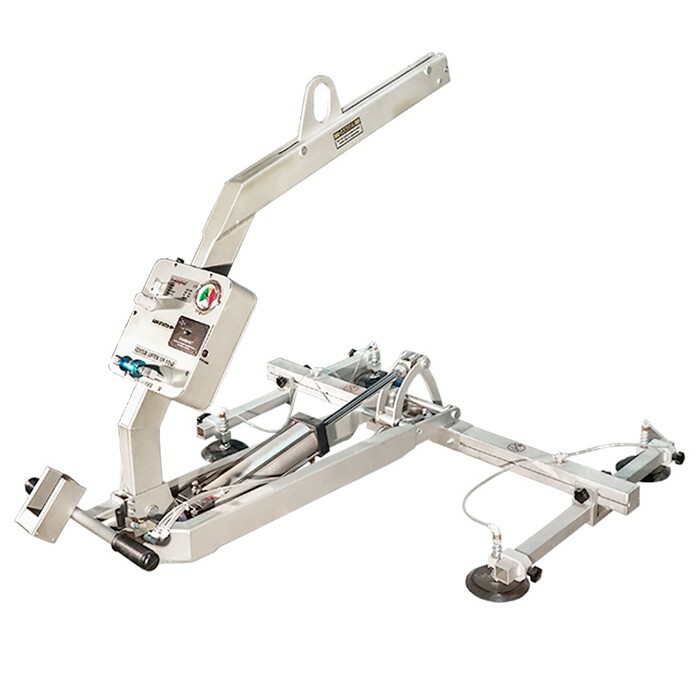 A built-in gas spring allows the self-adjustment of counterbalance of lifter upon the load weight for safely and securely lifting and rotating the slab. A slide valve for control of the inflow and outflow of compressed air through the air cylinder is equipped in such an assured way that suction pads keep the load safely and securely as the rotation and lifting of slab. Furthermore, for the safety of operator, an alarm system and vacuum gauge are equipped to make an audio-visual warning in event of leakage or low vacuum level.